The bicycles would be fitted with the GPS and the user will have to register with the company to hire it and bicycle stands for parking at every 300 metres, in another five to six months. PANAJI: Amid the growing concerns over air pollution, the Goa government is planning to encourage people to use bicycles to move around in the state's capital city. In this regard, it is planning to tie-up with a private company for operating bicycles, fitted with the Global Positioning System (GPS), on rent. 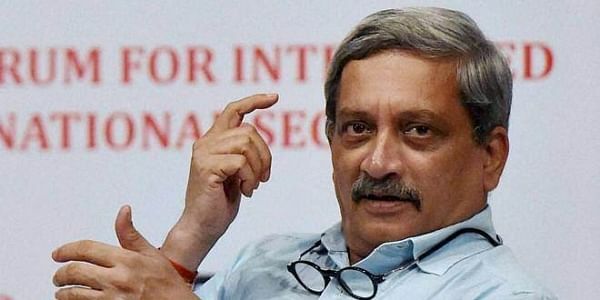 Chief Minister Manohar Parrikar today said the environment-friendly conditions cannot not be created overnight in the state and the people will have to work for it. "We are encouraging buses running on bio-fuel. But it does not happen overnight because it requires a lot of capital cost. In the same way, the best way to reduce it (pollution) further is to use a bicycle," he told reporters here. "You can use a bicycle to go to the market. What we have done is we are tying-up with a firm for operating bicycles. We will only give them places where the bicycles can be parked," the chief minister said. The bicycles would be fitted with the GPS and the user will have to register with the company to hire it, he said. The company, which is looking at the project's feasibility, will put up bicycle stands for parking at every 300 metres, in another five to six months, he added.